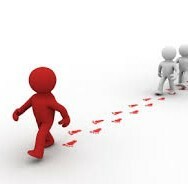 It's All About Leadership – Become a better leader, today. Psychometrics lies at the heart of my approach and I utilise a variety of instruments allowing leaders to gain valuable insights into themselves through objective one-to-one feedback. Coaching can help leaders and aspiring leaders to become more self-aware, particularly of their strengths. In these times of change and uncertainty it is more important than ever to have leaders who can take their organization, group or team forward and meet the challenges that they face successfully. People are more likely to be engaged in their work, creative and more focused when they believe that their manager or leaders appreciate their efforts. Content employees are also less likely to look elsewhere for that ‘feel good’ factor, resulting in reduced employee turnover and all the associated costs that go with recruiting and training new people. It’s fairly obvious to most of us that satisfied, valued employees are more productive employees, yet staff surveys consistently show low job satisfaction in the majority of work environments. This information isn’t new, we’ve been hearing it for years. 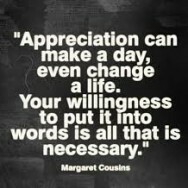 The real question is if we know that the expression of appreciation is key to improving employee satisfaction and ultimately retention, why aren’t managers and leaders doing it?